We are highly experienced Manufacturer, Exporter and Supplier of Diaphragm Level Switch. The Diaphragm Level Switch is used for indicating, controlling, and regulating the level of granulated or powdered dry materials with a grain diameter up to 10 mm and a density of 0,3 to 2, 5g/cm3, flowing through a silo, hopper or chute. We offer superior Diaphragm Level Switch that is made up from quality material with perfect finishing. 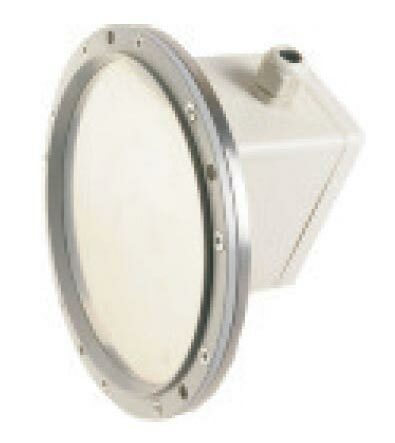 Known for its flawless features, Diaphragm Level Switch is highly in demand among our customers. The device must be mounted so that the diaphragm membrane is exposed to the product whose level should be controlled, in such a way that the product, can press the diaphragm. The material weight presses the diaphragm which is adjusted with the microswitch through a flexible mechanisum. A liver attached to the diaphragm transferrs the pressure to the microswich which changes the contact. When the material recedes the diaphragm comes back to its normal postion and the microswitch again changes the contact. Diaphargm Membrane material - Nitrial Rubber / SS ax. The JAYCEEBOOT can be installed outside the container by making a hole on the wall, so that the membrane remains exposed to the product inside. Suspended by means of a tube, it can be also installed inside the container. Using adaptors, it can be installed in pipes and conduits. Wherever possible level switch should be mounted on vertical surfaces. By this means, the product can flow free downwards, and wrong indications are avoided. It can be mounted on surfaces with a slope of not more than 30 degrees from vertical, provided that the product leaves the membrane thoroughly free when flowing along. If maximum levels are to be controlled, the devices must be mounted at such a height that the product overflowing the membrane can exert pressure on this membrane, working the microswitch.